Pinterest launches Mobile Apps, Bookmarks, and more for Pinning on the go! Pinterest is the social network that connects people through images. To make it easier for people to pin photos, and find others' pins, Pinterest has now launched separate mobile apps for Android and iOS smartphones. What with the many other social networks such as Facebook, LinkedIn, and Twitter bringing new updates, Pinterest has followed suit; and along with many other updates such as bookmarks (and bookmarklets), buttons and widgets, Pinterest seems to finally have the right toolkit for providing their users with the flexibility, functionality, and mobility that they need. 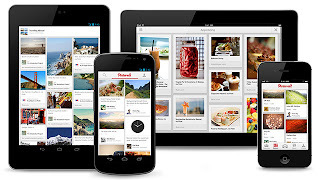 The Pinterest mobile app has been released for both the iOS and the Android platforms. It has been designed while keeping both smartphones and tablets in mind, so it is guaranteed to work flawlessly with whatever device you have, whether be it a 3.7" Android smartphone, or an iPad. Snap and Pin - The mobile app makes it easy to pin your photos. Whether it is a scenic landscape you're capturing on your mobile device, or a new dress you've bought, or an exciting new recipe that you've learnt (and cooked), you can instantly snap photos using your mobile camera, and pin it instantly to Pinterest. Look for pins - Bored? Waiting on a bus or a subway? Might as well whip your smartphone out, and start browsing for interesting pins and boards by other people, much like you'd do on a desktop computer - only much handier! Get help - Trying out a new recipe? Or out shopping for fashion items? Perhaps, Pinterest can help! You can get hundreds of ideas from Pinterest! Amaze your friends by keeping up with the latest trending styles! This Chrome extension will let you instantly pin things you find on the internet. Install it, and then simply click on it whenever you stumble across a great image or video. 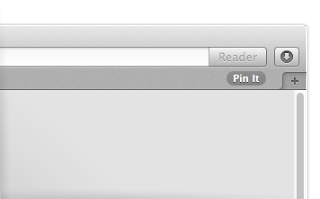 Alternatively, you can drag-and-drop the Pin it button to your bookmarks bar, and use it as a bookmarklet. 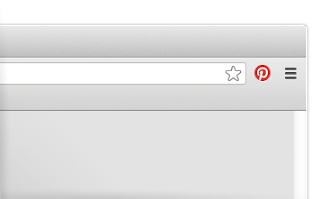 It'll work just like the extension, except You can find both these buttons over at Pinterest. These are nothing new. But are relevant here anyway. If you have a website, you can install the Pinterest widgets to help your readers easily share and pin your stuff. Is there any tutorial for drop down menu similar to pinterest for blogger? Indeed Pinterest Bookarking is very good for a blog ! Samsung Galaxy Note 3Samsung Galaxy Note 3 Price in india. Samsung Galaxy Note 3 Specifications, Feature. Samsung Galaxy Note 3 Review.Samsung Galaxy Note 3 Specifications and Review. Pinterest is playing a better game among other social media sites. On my view Social media is the boon for branding our products. pinterest app would be of great help in business process also. Find here some interesting as well as effective app that could benefit you.